Holmarc Bench top rubbing machine is a compact dedicated machine specially designed for LCD and LCoS R&D Labs. 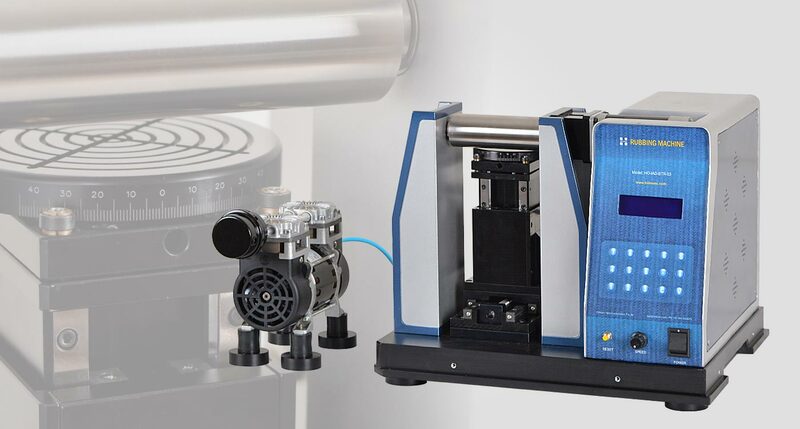 The system is intended for tracing grooves on polyimide surface to orient the liquid crystal molecules. Rubbing Machine, HO-IAD-BTR-03 has been developed with additional features than that of models HO-IAD-BTR-01 & HO-IAD-BTR-02. In this model, the height of the substrate can be varied using a motorized vertical stage. A precise vertical height adjustment in the order of micrometers is possible. It is customized in such a way that, the horizontal stage will be motorized in up and down direction. It will move down when one roll is over and the stage comes back to its initial position for next roll. Hence, rubbing in single direction can be achieved. The substrate movement in linear or vertical is possible at a time. The substrate along with vacuum chuck is held on a rotation stage so that it can be rotated and positioned at any required angle from ±45 degrees for various rubbing orientations. The substrate can be held either by vacuum or can be mounted on to the additional plate provided with the machine using M4 screws. Maximum size of substrate which can be loaded is 100 mm x 100mm. The system has been developed as a standalone unit in which speed and direction of the spindle can be varied. The spindle speed can be controlled from 0 to 3000 rpm. Rubbing Machine has been developed for LCD R&D Labs. 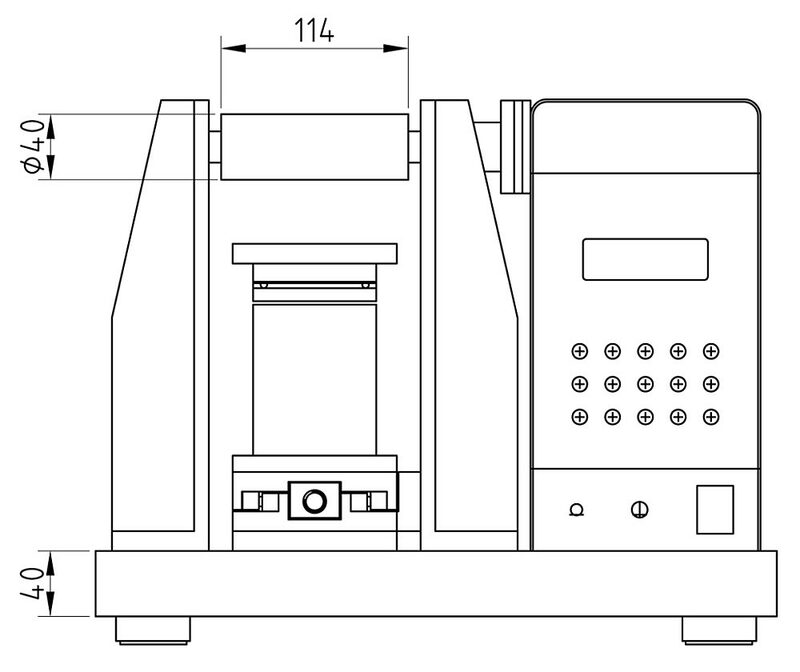 The system is intended for tracing grooves on the polyimide to orient the liquid crystal molecules.